I am so excited to bring you the new ScrapFIT Workout! Some of you may remember Diana from Sketchy Thursdays. Do you miss those sketches as much as I do? 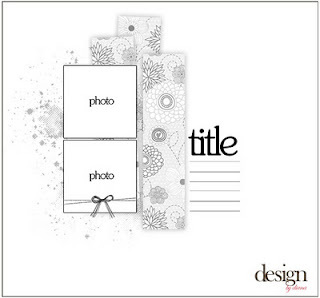 I am so happy to tell you that Diana is ScrapFIT's Creative Trainer, and you will be finding her sketches on ScrapFIT! So without further ado, her is the sketch for this week along with my interpretation. Journaling on this layout means meant as much to me as the wonderful picture taken of Shane on Christmas day. Shane has so many aspirations and dreams and sometimes life just doesn't go fast enough for 22 year-olds. That's what this layout is all about. The journaling reads, "Sometimes it takes a little while to get where you are going. There are a lot of twists and turns in the road, but hang on because the road does straighten in a lot of wonderful places. When we do reach those places, we have grown so much from all those curves and detours we encountered that our destination is even sweeter. Oh the places you'll go!!" 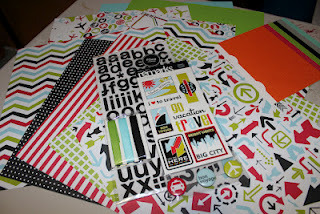 I hope you'll visit ScrapFit to see all the wonderful inspiration from other design team members. Paper Quirks is our sponsor and prize for this challenge. What a great layout and wonderful journaling! I love this layout, especially the journaling from your heart and the argyle covered letters. I love that argyle paper! so modern and so heartfelt at the same time! Funny thing is, I could totally scraplift this and substitue a photo of my son who is 26 and finding his way in life. Love this layout Brenda! Love the map paper strip. Love that you added the small strips and brads on the left. Nice work!